Are Coachella Attendees Imposing Cultural Appropriation? I’ve always had a love-hate relationship with both people who practice cultural appropriation and people who accuse other people of cultural appropriation. Women who wear hijabs or any traditional Muslim attire when they visit a Middle Eastern country with a strict dress code? Acceptable, not cultural appropriation. Making taco bowls? Acceptable – though arguably not real Mexican food – and not cultural appropriation. People who wear another culture’s outfit completely aware of its meaning and wears it as an appreciation of the culture? Acceptable, not cultural appropriation. People who wear something which, although not traditionally a part of the culture’s history, is mostly associated with that culture (e.g. cornrows, baggy plaid long sleeves, braided hair, red dresses)? Debatable on a case-to-case basis. Wearing it is okay most of the time, but wearing cornrows, posting a photo of it on Instagram, and saying “white girls wear it better”? Bad, cultural appropriation. However, I have the biggest problem when it comes to Coachella attendees. People have been crying cultural appropriation in so many instances that the real definition may already be lost on most people. So, let’s try to define what cultural appropriation really is. First, it’s also known as cultural misappropriation. You may have heard the term “cultural hegemony” at one point in your high school or college history or social science classes. This is a practice when a ruling country or colonizer impose their cultures and beliefs on the minority or colonized country. One good example of this is when western countries colonized Asian and African countries in the past. In the Philippines, for example, old documents show that the indigenous Filipinos acted a certain way. Women did not cover their breasts and women played a more vital role than women born in a patriarchal western society. However, after Spain colonized their country, they imposed their beliefs of modesty and submission on women, who were then forced to cover up and wear traditional Spaniard attire. If cultural hegemony is bigger countries forcing their culture onto small countries, cultural appropriation is the opposite. A bigger country takes the smaller country’s culture and then uses it to their preference. It’s not cultural exchange because of the power play between countries: exchange students are part of a cultural exchange because they’re on an even platform; taking a Native American headdress and then telling Native Americans to get over it when someone wears it as an accessory is a form of neocolonialism, oppression, and power imbalance. It’s bad because wearing another culture’s symbol does two things: disrespects that culture’s significance over that item and sort of brags the power imbalance that a culture is so oppressed that even the most sacred items to them are mere accessories to another culture. I have a theory that Americans are so prone to cultural appropriation because our culture isn’t old enough that we haven’t developed the same practices other cultures have. We aren’t as old as the Chinese culture, for example, which dates back to thousands of years back to feudal times where clothes are symbolic of one’s status. So, the question now is why so many white Americans attending Coachella think it’s okay to go into the festival while treating other cultures’ attires as an Insta-worthy accessory. The bindi, for example, is an Indian decoration used to symbolize a third eye and connection to wisdom and energy. But step into Coachella and you’ll find a couple of women (and even some men) wearing bindis but have zero idea what it means. Chances are, they’re only wearing a bindi “because it looks cute”. 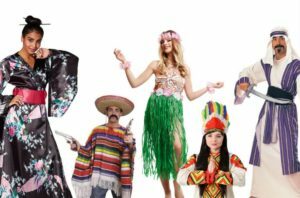 Coachella attendees have become so unaware (or maybe they just don’t care) about turning other cultures’ attires into a costume. 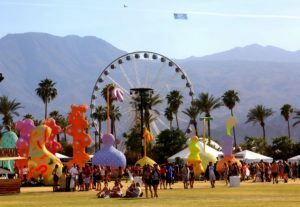 Writer Dillon Johnson, in his article “Cultural Appropriation at Coachella 2018 No Longer Phases Me as a Black Man,” explains it perfectly: those who insist on using another culture’s attire into a costume must have no idea of the significance or the oppression other cultures experience for wearing their attire, but now they’re wearing it and suddenly it’s okay. Isn’t Cultural Appropriation Just a Misunderstood Form of Culture Appreciation? Those accused of cultural appropriation would often hit back with a slew of counter-arguments, ranging from ad hominems (“It’s just a <insert item considered extremely sacred in accuser’s culture>. Don’t be so sensitive.”) to citing assimilation and globalization helping cultural practices spread throughout the world. After all, they would claim, a bindi can apply to anyone looking for energy and wisdom. Anyone with hair should be allowed to wear cornrows if black women are allowed to straighten their hair like white women. And in 2018, does anyone even still believe in the legends and mumbo-jumbo of a Native American headdress? The problem with this mindset, however, is that the person likely arguing for the right to wear another culture’s attire never experienced the same oppression a person from that culture experienced. A black woman may copy a white woman’s hairstyle, but take note that when black women wore cornrows or wore their hair naturally, they were banned from school and deemed unprofessional for work. Their hair straightening was a necessary act in a society that looks down on their hair. But when white women like Kylie Jenner wears cornrows, it’s edgy, cool, and considered a new trend. Let’s make one thing clear: I’m not here to tell men and women not to dress up for Coachella. 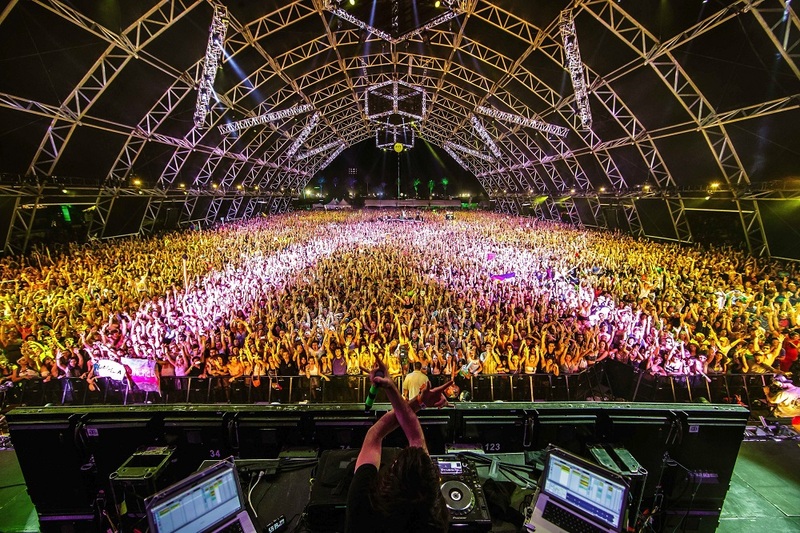 Coachella has an aesthetic of all things free and fun, and there’s nothing wrong with that. But each year, there are more and more people channeling Pocahontas with their outfits and sporting bindis even if they don’t know what it means. It’s a cultural attire, not a costume. So, before putting it on, ask yourself if you risk offending another culture with your outfit. If you feel like you have to cite globalization or culture assimilation, pick something else.